The Brooke Beach is 3,076 square feet, three bedroom, and three bath home, that includes a bonus room. It is open concept with an adjoining kitchen, nook, and great room. The great room and study has beautiful coffered ceilings. 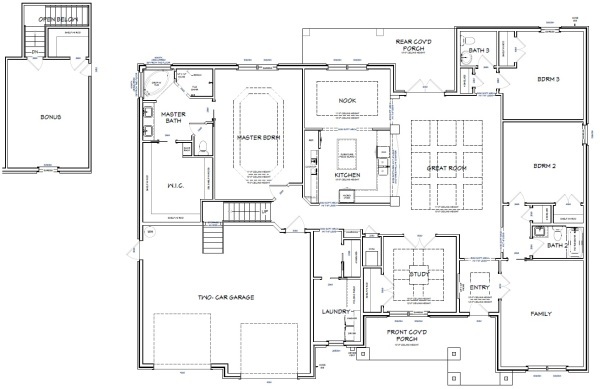 The master bedroom has double treys and amazing bathroom. This award winning home will be sure to impress and and is great for entertaining.